It had a been a forgone conclusion since about the middle of 2009 that the next Commonwealth’s Attorney in Henrico would be a republican. In fact the party already had a candidate, almost two years before the election, Matt Geary. No one really paid any attention to the race for the county’s top prosecutor. That was of course before the middle of August, just three weeks before the candidates hoping to appear on the ballot needed to be accounted for. 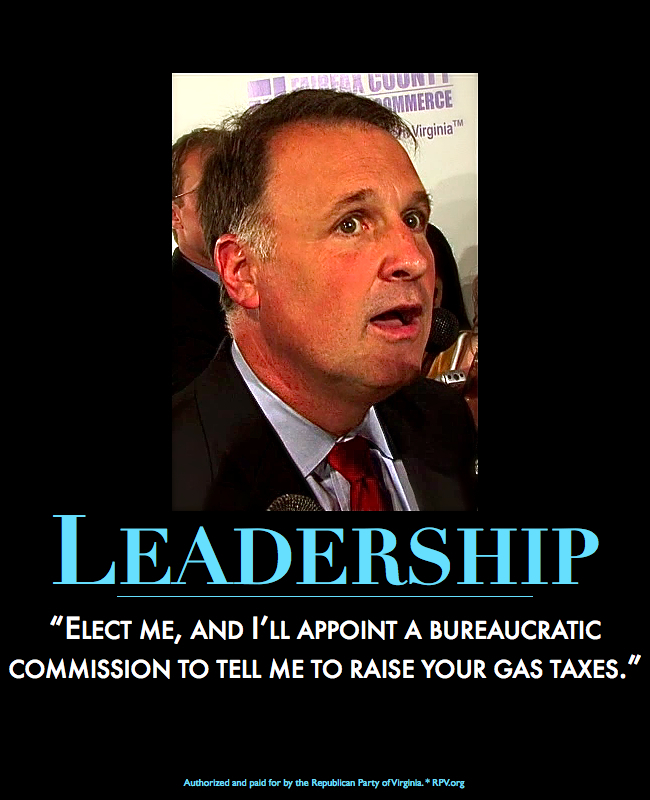 Geary quickly fell out of favor with party leaders, Del. Bill Janis announced his plans to run as an independent and now on the last opportunity for candidates to file, the democrats have decided to get involved. Today, former Richmond Deputy Commonwealth’s Attorney Shannon L. Taylor announced her intention to run for Henrico Commonwealth’s Attorney. Taylor is UVA undergrad, and University of Richmond School of Law alum. She has worked for 12 years as a prosecutor, 8 of them in Richmond. 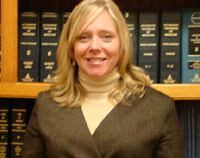 She currently is a defense attorney with the local firm Boone and Beale. In addition to her time in the Richmond Commonwealths Attorney office, Taylor also worked as the Special Counsel for the Richmond Metropolitan Multi-Jurisdiction Grand Jury. Taylor’s entry creates an interesting field in a race that is rarely, if ever, competitive. Despite the republican electoral dominance in Henrico, there is evidence that the county is more deep purple than scarlet red. While the GOP has an incredibly effective local political machine that has led to easy wins in local elections, statewide and national votes are much different. Henrico tends to be much more of a bellweather county. While they followed the rest of the state in electing republican Governor Bob McDonnell, Henrico voters also overwhelming chose President Barack Obama and Senator Mark Warner, both democrats. Could the GOP streak change now that this race is competitive and is getting far more media coverage than it ever has in the past? In what has turned out to be an incredibly unpredictable campaign, anything is possible. It became one of the most watched videos of the campaign for Governor. A YouTube clip posted by the Republican Party of Virginia in the moments after the second debate between Creigh Deeds and Bob McDonnell. At that time the polls were tight and the race was on the verge of going one way or the other. The clip got more than 60,000 views on YouTube and was used repeatedly by the RPV in ads online and on television to portray Deeds as bound and determined to raise taxes. The video popping up constantly, became somewhat of a joke, for my friend and photographer Matt Neese. 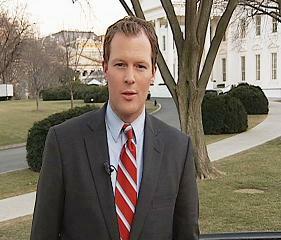 Matt and I were in Fairfax that day and were a little late to the “media scrum” party. You can see both Matt and me pop up behind Sen. Deeds looking for an angle to gather some of what the Democrat had to say. Often times one of the commercials would pop up on a television in the newsroom, with Matt’s or my head in the background, causing more than a few laughs among our colleagues. Every time we’d see the video, Matt said that we was going to put together a piece for the popular NBC12 Photog blog on his side of that experience. He finished the project and posted it today. United States Senator Mark Warner (D-Virginia) will make a stop this morning (Friday) at the Can-Can restaurant in Carytown to discuss the economy and efforts to improve the climate for small business. Warner will meet with 15 local small business owners and will specifically talk about their frustration to obtain credit. To learn more about Warner’s efforts to help small businesses during the rough economy click here. Thanks to everyone who came out to the Science Museum of Virginia on Tuesday night for our terrific panel discussion on the use of social media in the campaign for Virginia Governor. The panel was hosted by the Social Media Club of Richmond. I was very excited because the turnout was a great mix of local social media users, politicos and just interested citizens. It really was one of the main reasons SMCRVA was created. Tuesday night’s Social Media Club Richmond hosted a panel discussion on the of use social media in the 2009 Virginia elections with members of the McDonnell and Deeds campaign, Virginia bloggers, an Independent candidate for Virginia House of Delegates and a University of Richmond political science professor. The insight offered by the campaign staffers provided valuable information into the intersection of political messaging and social media. I want to offer a special thanks to our panelist who many of which took part as a favor to me. Tucker Martin, Jared Leopold, Dan Palazzolo, Eli Kaplan, Waldo Jaquith, Jason Kenney and Gary Reinhardt all offered excellent insight into the campaign. I hope everyone learned as much as I did. Now that the arguments have been made and the votes have been cast, what worked and what didn’t? This coming Tuesday, the incredibly popular Social Media Club of Richmond (SMCRVA) presents an interesting election post-mortem featuring some inside players in the campaigns of both Bob McDonnell and Creigh Deeds. The event will focus on particular, the role the internet and social media played in a campaign that was one of the most watched races in the country. SMCRVA takes place Tuesday November 17th at the Science Museum of Virginia and will feature a panel discussion that includes, Tucker Martin the communications director of the McDonnell campaign and Jared Leopold, the press secretary for Creigh Deeds. In addition to insight from Martin and Deeds, prominent Virginia political bloggers Jason Kenney and Waldo Jaquith will offer their perspective and we will hear from our political analyst Dan Palazzolo and Independent candidate for Delegate Gary Reinhardt. Tickets for the event can be purchased here and include food and drink and a guaranteed good time. The full details are below.. follow @SMCRVA on twitter for updates and e-mail me at rnobles@nbc12.com if you need more information. DON’T WAIT to purchase tickets!! SMCRVA events are very popular and the tickets often sell out quick. Don’t miss this incredible opportunity to see behind the curtain of the campaign for Governor of Virginia in 2009. Social Media has become an important tool in political campaigns. This month, we’re going to take a look at how Democrats, Republicans and Independents have used social media, what’s worked and what hasn’t, and what the campaign leaders see as the opportunities for the next election cycle. The event will be held at the Science Museum of Virginia in the IMAX Theater with a reception. Light hors d’oeuvres, beer and wine will be served. Now that the winner and losers have been officially decided at the ballot box, it is time to dig a bit deeper and see who will benefit (and lose) the most in Virginia politics. Gov. Tim Kaine – It is hard to believe that just a little more than a year ago, Virginia’s current governor was a whisker away from becoming the nominee for vice president of the United States. It seems that since his close friend President Barack Obama turned to the more experienced Joe Biden, Kaine’s fortunes have gone down hill. He was forced into a job he didn’t want (DNC Chair) and as a result had to constantly deal with questions about where he was having dinner each night. Taking on the job also put him at the center of yesterday’s losses not only in Virginia, but in New Jersey too, a state he has little to nothing to do with. Kaine now is left with a little less than two months to define his legacy in the governor’s mansion. A legacy that, regardless of his legislative and governing accomplishments (Smoking Ban, his stewardship in the wake of the Virginia Tech massacre), will now be defined by one huge political win (Barack Obama) and one enormous political loss (last night). Kaine, however, still enjoys the trust and friendship of the most powerful man in the world and his political destiny may still be ahead of him. Jeff Frederick (former Republican Party chair) – Yes, there were Republicans who did not come out ahead last night and Frederick is among them. The feisty leader of the conservative wing of the party was on the precipice of causing a huge rift in the Republican party last spring. But within less than a month he became marginalized by the McDonnell machine and reduced to a few errant tweets that eventually no longer became news. In the days leading up to the campaign, Frederick tweeted about a write-in campaign for his former seat in the House of Delegates, and the formation of a separate Conservative party in Virginia. Frederick, who once held a position so powerful that his off-the-cuff comments about Barack Obama garnered national attention, may now only be remembered as the guy who once held one of the few seats in the House of Delegates that switched to the Democratic party in 2009. Mike Henry (campaign manager for Terry McAuliffe and Steve Shannon) – Perhaps the most respected mind in Virginia politics, Henry had the distinction of presiding over two losses in one campaign season. The expectations may have been too high for a man who had been almost perfect in Virginia politics. He didn’t appear to have enough time to convince Virginia voters that McAuliffe was one of them and by the time he reached the Shannon campaign, the growing tsunami was already overwhelming. Henry is still incredibly well-respected and I am sure he will be back in the very near future (Terry McAuliffe is already considering a run in 2013). Phil Cox (McDonnell campaign manager) – The man at the top of the Bob McDonnell machine withstood criticism about his ties to controversial conservative groups to become the biggest “behind the scenes” player in Virginia politics. This morning Bob McDonnell named him the head of his transition team and, depending on what his goals are, he may end up with a prominent position in the new administration. Cox managed a fickle and unsettled GOP in the spring and became the first Republican campaign manger to effectively integrate the internet and social media into an overall strategy. He also helped to guide Team McDonnell through the rough waters of the revelation of the candidate’s master’s thesis to cruise to a landslide victory. Republican Bloggers/Internet Stars – Up until yesterday, it was just a given that Republicans would lose the war online. It may be too early to declare them victorious in 2009, but the GOP’s presence on the internet grew exponentially in this campaign. From offering right-leaning bloggers better seating at the Republican convention than the media, to gathering more Facebook friends and Twitter followers for Bob McDonnell than any other candidate, Republicans did not just hand the internet over to the Democrats. Sites like Bearing Drift have now become important players that candidates and voters can no longer ignore. They may not be the difference between winning and losing, but they are now having an impact, something they could never say before. Brian Moran (former Democratic candidate for governor) – He watched as one of his one of his two opponents for the Democratic nomination lost in a landslide and the other already floated the idea of running again and hasn’t said a word. Brian Moran is rumored to be in talks to make a play for the Democratic Party’s chairmanship and could be well positioned to be a prominent and vocal opponent to the McDonnell administration. The former leader of the Democratic House Caucus, Moran is accustomed to the back and forth bickering related to the legislative process and could prove to be a go-to guy for reporters looking for the counterpoint to the McDonnell agenda. The question is, does he want that role? Regardless, Moran looks to have options. Options that weren’t available in early June.